Every kind is unique and has its own rules. This is one of the reasons why academic writing style is so challenging to stick to. It was so before you’ve come across our guide! Custom Writing team has collected the best resources to help you perfectly understand academic writing features and functions. Check it out now. This guide to academic English writing will help you find many valuable resources—some of which are favorites of professional writing services. When you are student, you’re expected to know the difference between term papers, reports, reviews, and so on. Most students think that all these papers are the same, just with different names. However, there are some important differences. And they’re not as difficult as you might think. With the help of this chapter, you will know everything about the basic types of academic writing. And, of course, it will be much easier to develop your essay structure or write your academic research paper after you check out these helpful materials. An annotated bibliography is a list of academic sources and is a frequent assignment in universities. Be extra careful when formatting—your paper could get a low grade if you choose the wrong citation style. Whether you’re writing a thesis or a report, the first step is always the same—you must choose a topic. In this chapter, you will find instructions on how to develop a specific and informative topic for your academic paper. To develop an A+ college paper, it’s essential to know how to search for relevant information. To research your paper, choose one or several of the advantageous approaches we offer below. Today, there are tons of resources for investigation and examination—articles, books, the internet. The goal of research is to learn as much as you can about your writing topic. Use encyclopedias. Any formal piece of writing starts first with encyclopedias. This resource’s primary goal is to help you easily collect knowledge. That’s why you should begin any research project with their help. It’s a known fact that writers from academic writing services can motivate themselves to develop papers at any time. Creativity is not just random inspiration but rather a regular tool for professional writers. Structure in academic writing is essential—it’s basically the framework of your entire essay. There are several types of structure, but the most popular is the five-paragraph structure. This format consists of an introduction, a three-paragraph body, and a conclusion. In this chapter, you’ll learn how to develop a clear and effective structure and how to incorporate it correctly to get an A+. Outline. Remember to create a well-organized outline by making new paragraphs for every major idea in the text. The success of your college paper depends on how precise your framework is. Abstract. This is a brief description of your research paper, article, essay, or any other type of paper. The purpose of a summary is to inform readers about the main ideas of the paper. Introduction. In creative and academic writing, an introduction is a chance to make a great first impression. Don’t underestimate the power of the first lines! Developed your structure already? Good work! Now it’s time to improve your writing style. You may be super-skilled in writing prose or poetry, but the language used in academic texts is very different from creative writing. Read on, and you’ll learn all the important tips for developing your writing style. Even if you know how to develop original ideas and organize the perfect structure, your grades will always depend on grammar. That’s why you have to be extremely careful with the rules. We’re sure that we don’t need to explain the basics to you. That’s why we’ve prepared a list of academic writing tips that are useful for non-beginners as well. It’s often challenging to know whether you should put a hyphen or a dash in a sentence. The same problem is true for commas and semicolons. When learning English writing skills, it’s very important to pay attention to punctuation. In fact, it’s the number one tool to make your sentences clear and informative. When you’re writing academic papers, you may face issues with plagiarism. Usually, it isn’t difficult to collect new information, but avoiding plagiarism can be a challenging task. Clearly there are many spheres for improvement when it comes to academic writing. But we have great news—you don’t have to do everything alone. Check out this list of academic writing apps and tools. They will save you a ton of time. 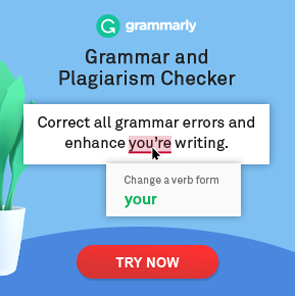 But always remember to check the results you get—whether it’s a grammar checker or citation generator, they do make mistakes from time to time. There’s no doubt: academic writing is one of the most difficult tasks you will ever face in student life. But by knowing the main principles, you’ll save time and get better grades. If college paper writing still seems impossible to accomplish on your own—you can always ask for help from our academic writing service. Just spend a few minutes to order a paper, and in no time, you’ll be the owner of an outstanding essay, thesis, or review. This web-site is an attempt to answer what academic writing is. This answer is unique, what makes this web-site different. Thanks for the feedback, Oleksiy! Youre so cool! I dont suppose Ive learn something like this before. So nice to find someone with some unique ideas on this subject. realy thank you for starting this up. this website is one thing that’s needed on the internet, someone with a little bit originality. helpful job for bringing something new to the internet!